A new barbecue joint is on the horizon in Reston. 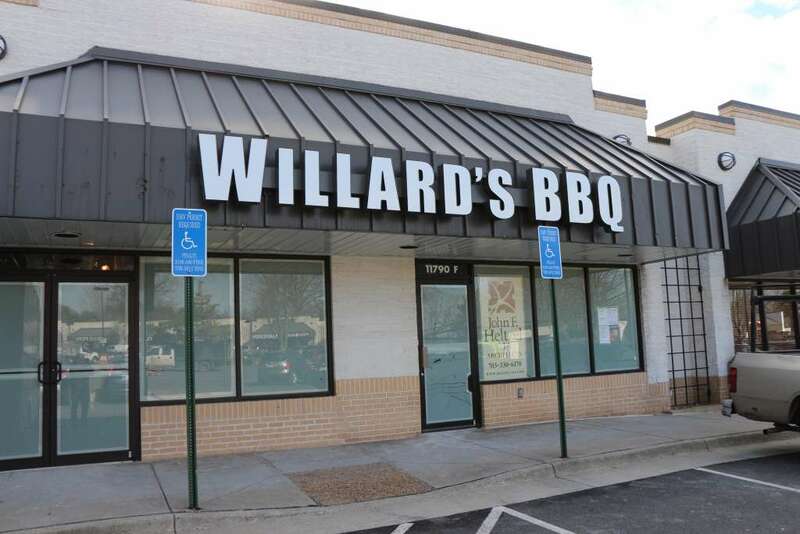 Work continues on Willard’s BBQ at 11790 Baron Cameron Ave., in the Home Depot Shopping Center. A representative at the barbecue restaurant’s flagship location in Chantilly said the Reston location is expected to open “in a few more weeks,” but could not provide any further information. According to information provided by Fairfax County, the building permit for the restaurant was applied for in June and issued in October. The restaurant’s menu includes a variety of barbecue sandwiches and ribs, along with a full assortment of specialty items and sides. The upcoming Reston location formerly housed Quality Carpet One Floor & Home.